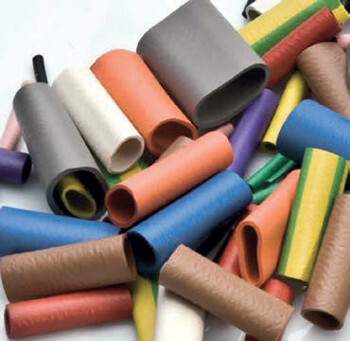 CR - Neoprene non-shrink, pre-cut insulating sleeves made from highly elastic extruded Neoprene, pre-lubricated as standard. They are particularly useful for binding ends of braided mains leads into plugs and portable equipment. Can be stretched 5x in fitting and 2x in use. Available in a wide range of colours. Recommended that best applied using expanding tool.